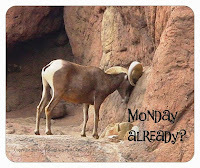 Tucson Daily Photo ~: Suggest a caption for this one! 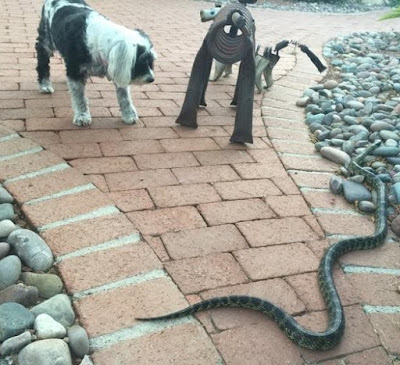 Here are the elements that I see: one puzzled dog, two life-size metal dog sculptures, and one really big snake! Post your caption suggestions! Look, I'm at Reid Park Zoo. I don't think that's the garden hose! Cute ones! Do you know what kind of snake that is? Photo was taken here in Tucson.